Artículo ​​# 295057 Puntos Stash: 5495 (?) This is the number of points you get in The Zumiez Stash for purchasing this item. Stash points are redeemable for exclusive rewards only available to Zumiez Stash members. To redeem your points check out the rewards catalog on thestash.zumiez.com. 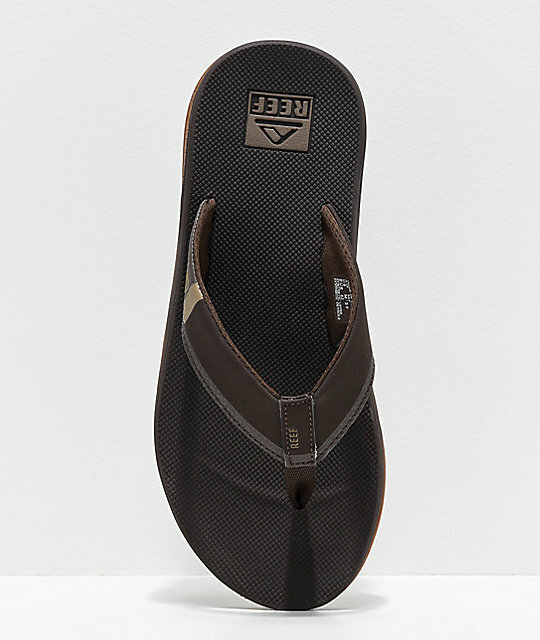 The Fanning 2.0 Brown & Gum Sandals from Reef are the ultimate adventure sandals. 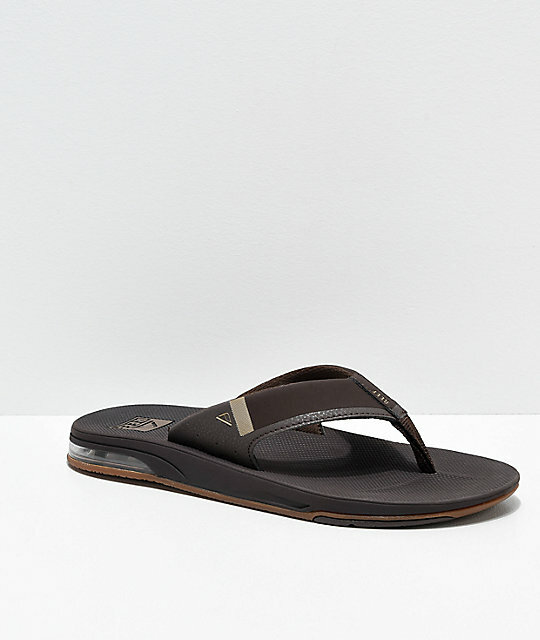 As the sandal of choice for legendary pro-surfer Mick Fanning, these comfortable water friendly sandals are built with a synthetic nubuck upper, molded EVA footbeds, and a 360 degree heel airbag for ultimate comfort. 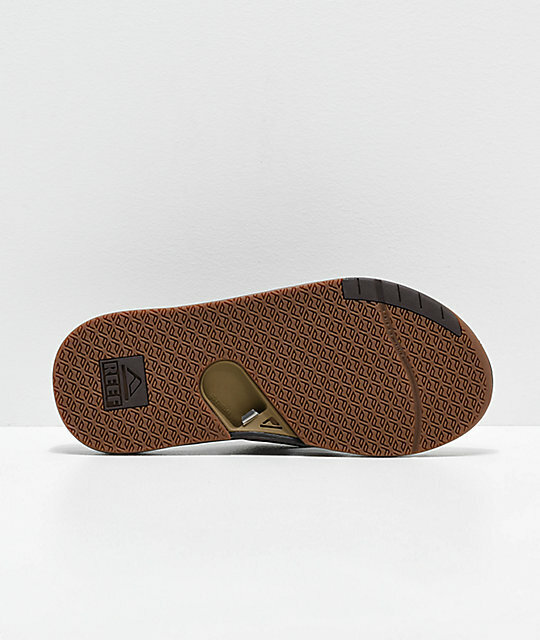 The herringbone rubber outsole offers grip for all surfaces, while the built in bottle opener is perfect for cracking your favorite beverage after your surf session. 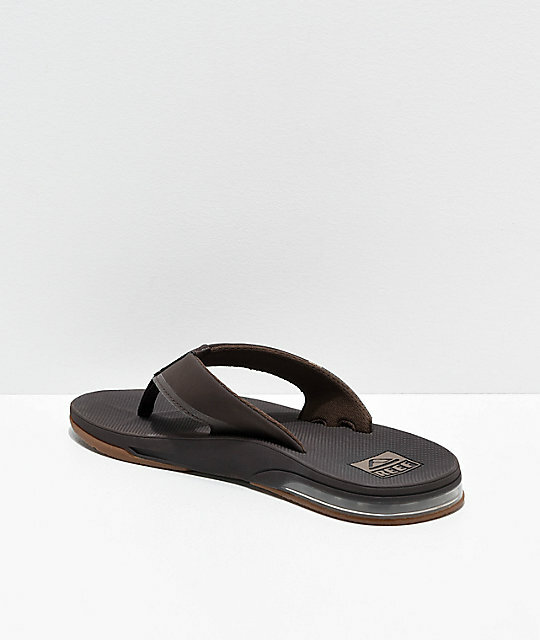 Fanning 2.0 Brown & Gum flip flop Sandals. Signature Mick Fanning pro model. Anatomical arch support for comfort. Church key bottle opener underneath. Gum rubber Reef tread pattern.